Secret Autonomous Railroad Pilot Car Testing? 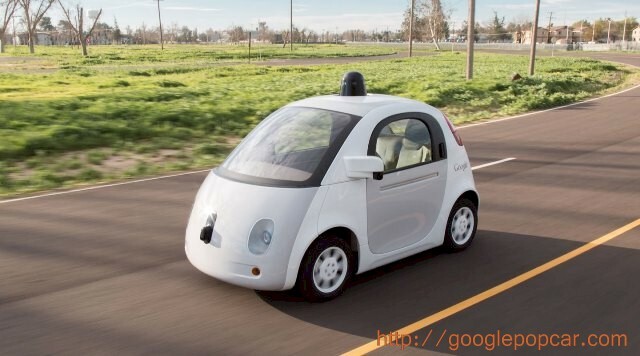 Code Name: "Google Pop Car"
For more than two decades, automobile manufacturers have offered radar systems that activate when a driver shifts the transmission into reverse gear. More recently, backup cameras made the leap from large recreational vehicles to many standard sized automobiles. Although an audible beep from a radar sensor is more effective at getting a driver’s attention, federal law now mandates that by 2018, all light vehicles sold in the U.S. shall include a backup camera. Recently, automobile manufacturers have developed and deployed “adaptive cruise control”, which will slow a vehicle if it approaches too quickly upon another vehicle. If you purchase a new vehicle today, you can add various crash prevention systems, including “lane departure control”, “collision avoidance braking”, “blind spot warnings”, "adaptive headlights" and more. If you add up all of these features and options, you are well on your way to owning a “self-driving car”, as Google likes to call their autonomous driving vehicle (AV). Until the 1980s, cup holders were relatively unknown in American cars. Until then, few people ate, drank or made telephone calls while driving. With the advent of “cellular radio”, the “car phone” became popular. With the fast food revolution, so too came cup holders, in-vehicle dining and a host of other distractions. Cordless electric shavers brought personal grooming to the average commuter. Lighted makeup mirrors tempted other commuters to touch up their makeup while driving. When heavy traffic slowed vehicles to a crawl, it became common for drivers to read a book or newspaper during their commute. By the early 2000s, drivers had even more distractions to deal with. With the release of the first Apple iPhone in 2007, smart phones became ubiquitous, if not at all smart. 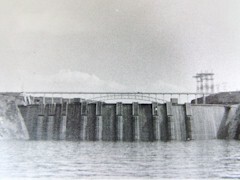 They offered such features as GPS route guidance and text messaging, along with mobile telephone connectivity. Since then, automotive manufacturers raced to integrate evermore communications and entertainment functions into their vehicles. For instance, many new passenger vehicles offer both Android Auto and Apple CarPlay as options. With the deployment of all these integrated applications, drivers today have more opportunities for inattentive driving than ever before. Still, it is important to separate the beneficial features in current automobiles from the frivolous, foolish and purely distracting. To me, crash prevention systems are all for the better. Even so, I do not wish to cede control of my vehicle to a self-driving, autonomous computer system. 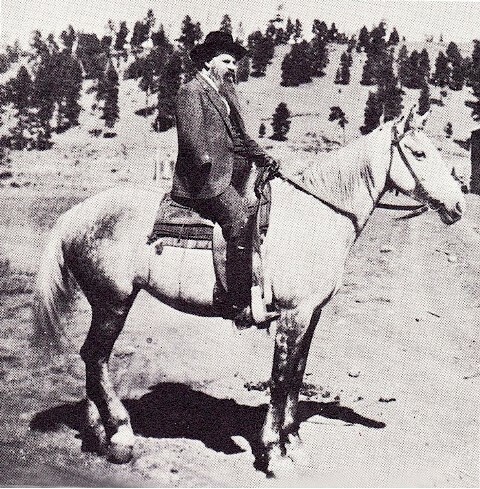 I have driven automobiles for over fifty years. Call me old fashioned, but I plan to drive and control of my own vehicles until I can no longer qualify for a driver’s license. According to the L.A. Times, Google, Tesla, Toyota and the other corporations have spent billions of dollars developing their own autonomous vehicles. What these companies forgot to do is to ask if we, the driving public want such a vehicle. My guess is that most drivers would prefer to control their own vehicle, rather than sitting passively while their Google Pop Car drives them to work or play. 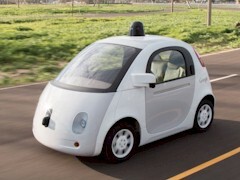 If most of us do not want Google’s self-driving car, toward what useful purpose could the company turn that investment? To answer that question, Google need look no farther than three miles from their Googleplex headquarters in Mountain View, California. There, adjacent to the Central Expressway is the Mountain View Station, which serves both Caltrain and Amtrak passenger trains. Developed mainly as a freight railroad in the 1880s, the current passenger rail line stretches from Gilroy to its northern terminus in San Francisco. With the ongoing technology boom in the Bay Area, Caltrain operates ninety-two weekday trains along those tracks. Today, millions of people work and commute back and forth along the San Francisco Peninsula. Some travel on or parallel to the rail lines, while others cross one of the forty grade-level crossings along that rail line. Since 2005, there have been one hundred fifteen Caltrain-related fatalities registered on that busy rail line. Although a few were accidents, the majority of fatalities were determined to be suicides. In addition to vehicle collisions, many of the fatalities occurred when pedestrians walked into the path of an approaching train. Were these pedestrians “texting while walking”, distracted by their smart phones or did they die in preplanned encounters with diesel locomotives? Although that is unclear, many victims appear to hide and then jump on to the tracks when it is too late to avoid a collision. If architects and planners had the luxury of creating a sealed right of way, like the BART system built in the 1970s, they would do it. With more than one hundred years of history, there is no way to seal off the peninsular rail corridor from either vehicle or pedestrian traffic. Each time a Caltrain passenger train collides with a motorist or pedestrian, the entire commuter system on the San Francisco Peninsula is negatively affected. Meanwhile, the autonomous vehicle group at Google has an opportunity to help save lives, speed commuter rail service and increase revenue in the process. To do this Google should adapt their various autonomous vehicle sensors to a railroad “pilot car”. If Google starts now, it could quickly develop and deploy what I call the “Google Pop Car” on the Caltrain route. Here is how it would work. 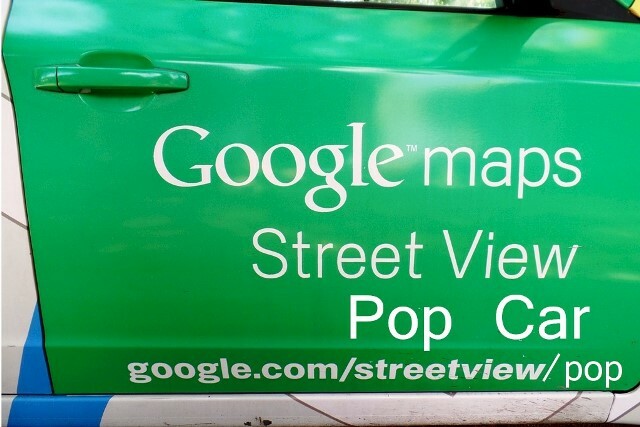 The Google Pop Car would be a lightweight, electrically driven autonomous rail car. It would have sensors and cameras capable of spotting both vehicles and pedestrians on or near the railroad tracks. 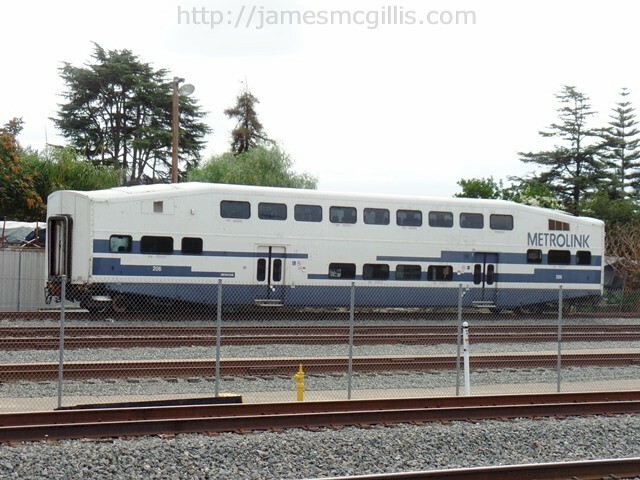 As a “pilot car”, it would lead the way for each Caltrain passenger train, staying far enough ahead to be the eyes and ears for its following train. In an emergency, the Google Pop Car could remotely activate the Positive Train Control (PTC) system, thus halting the train prior to a collision. 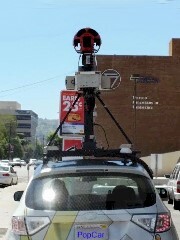 As the Google Pop Car approaches a dangerous grade crossing or detects an errant pedestrian, it could activate its safety lights and train horn. If a Google Pop Car warns a distracted pedestrian or potential suicide victim, they might have time to reconsider their actions. 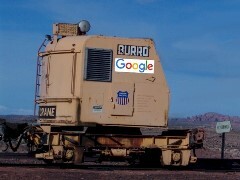 Additionally, the Google Pop Car could stream both video and still pictures to the cab of the following locomotive. Utilizing face recognition software, police agencies could later identify potential perpetrators or simple risk-takers, thus allowing intervention or apprehension. 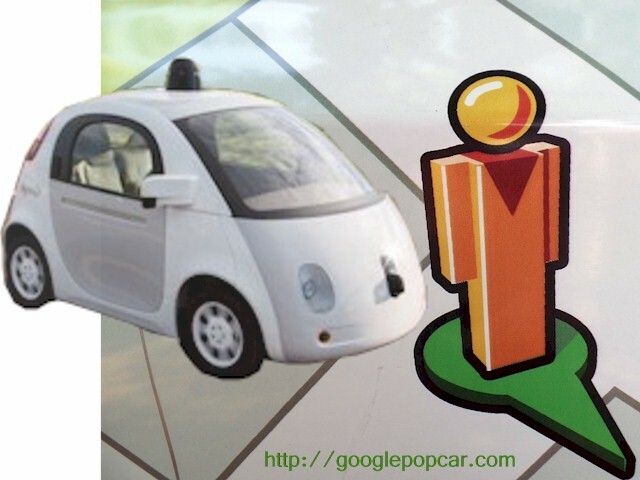 In my scenario, the Google Pop Car would race ahead to the next grade crossing. Upon approach, it would activate its rotating lights and sound its horn. 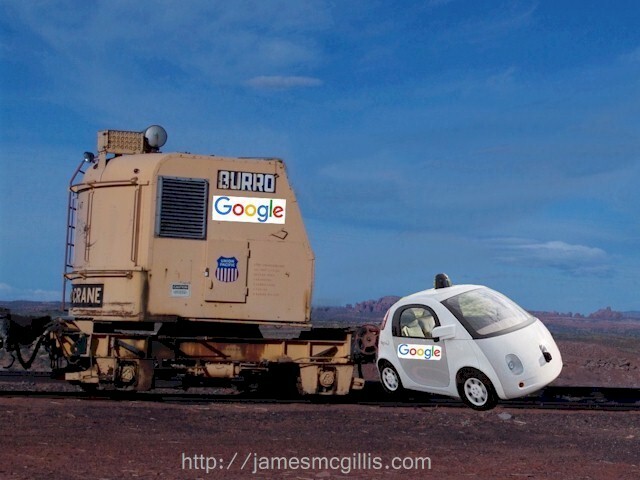 Once the Google Pop Car had secures the crossing, it could depart, always staying ahead of its assigned passenger train. With proper coordination, the passenger train could maintain a steady speed, while ensuring the safety of both pedestrians and vehicular traffic. In the unlikely event of a collision, a lightweight Google Pop Car, with crash absorbing bumpers would cause minimal damage or destruction. After thorough testing of the Google Pop Car on the Caltrain line, other rail passenger agencies could adopt the technology. 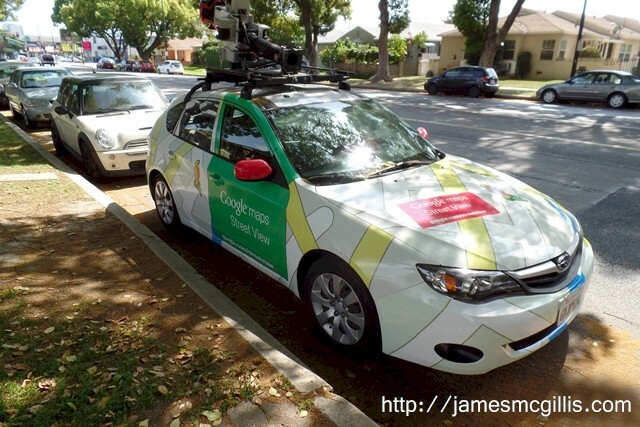 Had Google Pop Car technology been available to Metrolink in Southern California it could have saved many lives. 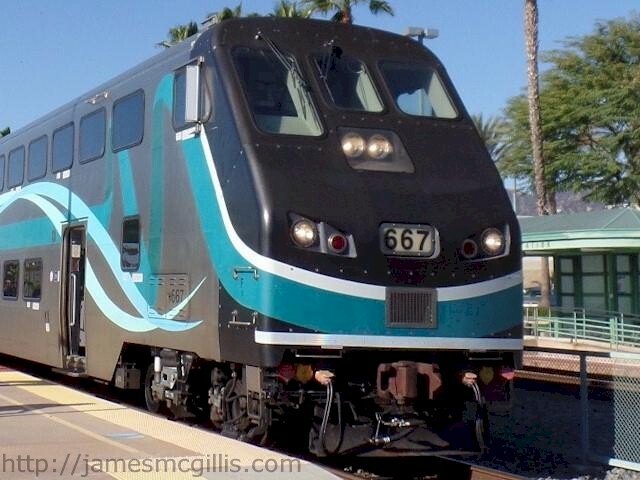 Metrolink experienced eleven fatalities in its 2005 Glendale collision, twenty-five fatalities in its 2008 Chatsworth collision and the death of Senior Engineer Glenn Steele in its February 2015 Oxnard collision. 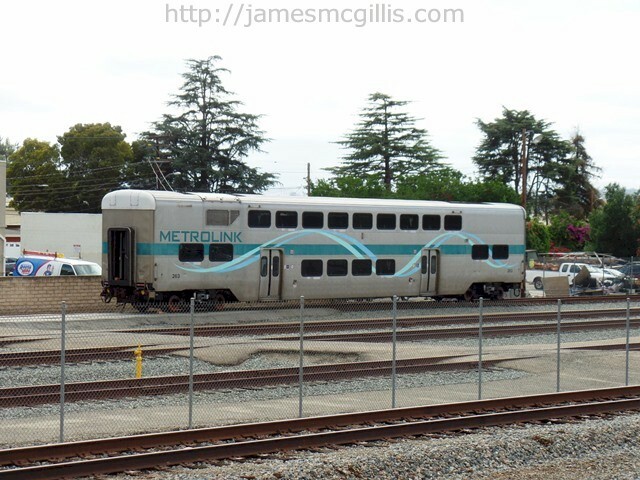 In the Oxnard collision, the “pilot”, a plow-like anti-derailment blade detached from the Metrolink Hyundai Rotem Cab Car. In September 2015, after realizing that its cab cars were unsafe, the Metrolink board met in a closed (possibly illegal) session to discuss its limited options. Almost immediately, Metrolink announced a decision to lease forty “heavy iron” Burlington Northern Santa Fe (BNSF) freight locomotives. Rather than exploring new safety technologies such as the Google Pop Car, Metrolink will rely on outmoded, conventional thinking. 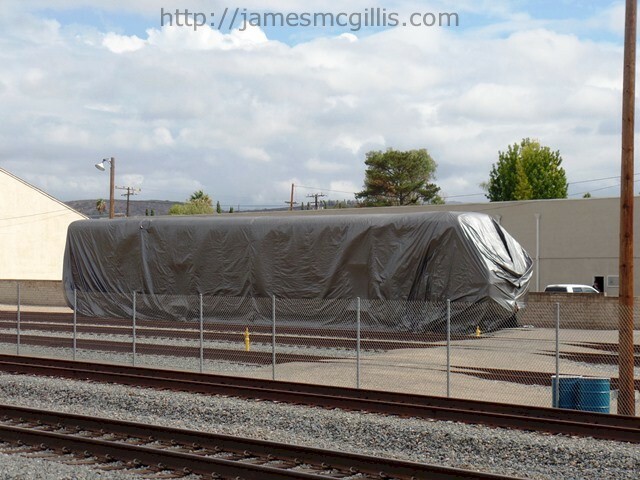 In coming months, inefficient, high-pollution BNSF freight locomotives will head-up all Metrolink passenger trains. In an “overkill” scenario designed to eradicate errant pedestrians and vehicles, Metrolink will rely on the tonnage of BNSF locomotives. Essentially all of the technology to produce, test and implement an autonomous railroad pilot car exists today. What is lacking in urban passenger rail systems such as Caltrain and Metrolink is a willingness to embrace the new technologies available for collision avoidance. Moribund and ossified thinking by politically controlled passenger rail agencies guarantees that California will continue to lead the nation in deadly rail collisions along its passenger rail corridors. 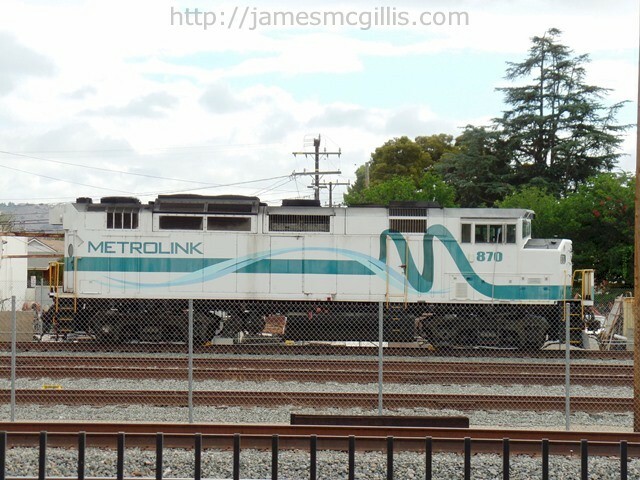 On September 26, 2015, Southern California regional rail passenger carrier Metrolink announced a decision to lease forty Burlington Northern Santa Fe (BNSF) freight locomotives. As the plan goes into effect, current high-pollution diesel locomotives will continue to provide head-end power for all outbound Metrolink trains. 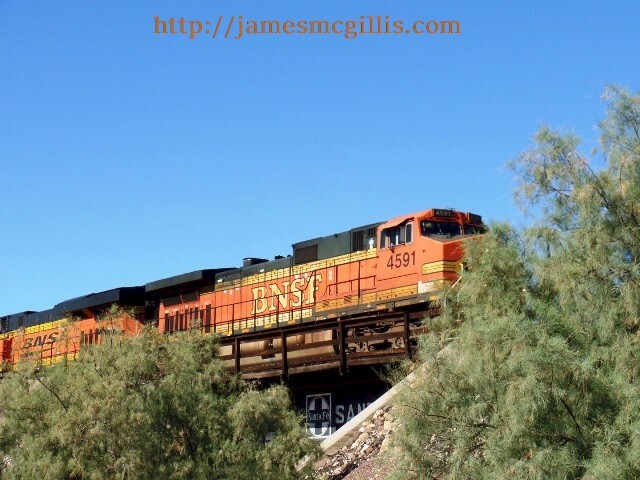 On return trips, BNSF freight locomotive will provide the head-end power. In either direction, one locomotive will provide traction and the other will be deadweight. The cost to lease and outfit the BNSF locomotives with positive train control (PTC) safety systems will exceed $19 million. Collision vulnerability of pusher trains, with a cab car up front is widely known. During a February 2015 Metrolink collision in Oxnard, California, a Hyundai-Rotem cab car experienced a catastrophic failure of its anti-derailment “plow”. The loss of the plow beneath the cab car may have caused its derailment, along with the remaining coaches and the Metrolink pusher locomotive #870. Diesel locomotives utilize two separate braking systems. With dynamic breaking engaged, the diesel engine slows to an idle, while the electric motor becomes an electrical generator. The generator provides resistance to the drive train, thus slowing the train’s wheels. All of this takes time. On a freight locomotive, the pneumatic system provides faster or emergency braking. 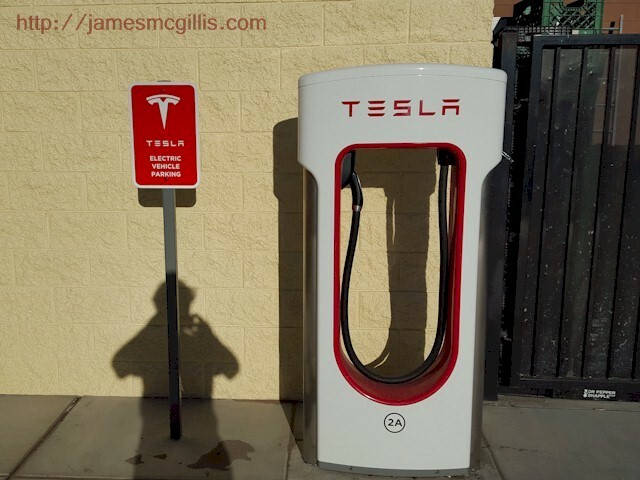 It uses pressurized air to actuate cylinders and rods, which impinge upon “brake blocks”. The brake blocks, which are analogous to automotive break shoes, apply friction directly to the train’s steel wheels. It is common knowledge that Metrolink has ceased scheduled maintenance on its decades-old locomotives. If a locomotive fails, they attempt to fix it. Otherwise, Metrolink keeps running each locomotive until the next failure. This raises obvious questions about reliability and safety. It also begs the question; does Metrolink still conduct scheduled or preventative maintenance on its locomotive braking systems? A simple audit of its maintenance contractor, Bombardier Transit Corporation, would show whether they provide periodic maintenance on Metrolink locomotive brake systems. In the newer, Hyundai-Rotem cab cars and coaches, disk brake technology now prevails. Under Rotem’s high-tech scheme, the cab car’s wheels support outboard disks, or rotors as part of the pneumatic braking system. Typically, disk brakes act more efficiently than “brake shoes” to slow a moving vehicle. This technology, which is new to Metrolink, comes at a price. That price is what we call “the learning curve”. At its home location in South Korea, Hyundai-Rotem reportedly paid a $6.3 million settlement last year over brake defects and mechanical malfunctions. 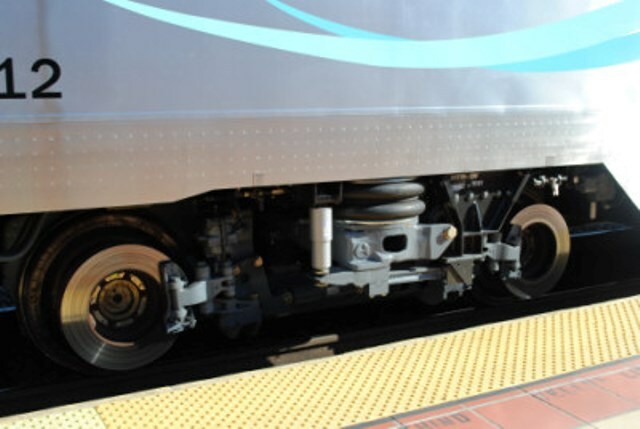 Rather than field testing its various consists of coaches, cab cars and locomotives, Metrolink assumed that all of its braking systems would be compatible. Through ignorance or indifference, Metrolink failed to perform live braking trials for their typical, odd assortment of coaches. Still unknown is how a mixture of old and new braking systems affected the derailment of all five cars during the 2015 Oxnard collision. New technology braking systems installed on the three Rotem coaches may have overwhelmed the braking capacity of the single, obsolete Bombardier bi-level coach. Even after the cab car and other coaches had derailed, a poorly maintained Metrolink locomotive kept pushing from the rear. Photographic evidence suggests that slow braking at the pusher-end popped the rigid Bombardier coach loose from both of its couplings. Once the Bombardier coach derailed, it traveled farther off course than even the doomed Hyundai-Rotem cab car. Other than the death of Metrolink Senior Engineer Glenn Steele, the most serious injuries occurred within the obsolete Bombardier bi-level coach. Metrolink’s recent decision to lease forty, six-axle BNSF diesel freight locomotives was hasty. If the newly devised train sets cannot operate better than the mixed-consist trains currently in operation, both passengers and motorists may be at additional risk. Riding on four axles, current Metrolink diesel locomotives weigh 280,000 lb. At over 420,000 lb., the BNSF freight engines are fifty percent heavier. A current five-car Metrolink train weighs approximately 460,000 lb. By adding a freight locomotive at one end, the BNSF train set will weigh 880,000 lb., an increase of ninety-one percent. In contrast to the diminutive anti-derailment plow on the Hyundai-Rotem cab cars, the BNSF freight locomotives should be able to clear almost any vehicle or debris from the tracks. However, the addition of such “heavy iron” on each Metrolink train raises questions about fuel consumption, environmental pollution, braking systems and overall reliability. Fuel Consumption – A twelve-cylinder, turbocharged two-stroke diesel engine powers each Metrolink EMD F59PH locomotive. None of those locomotives is younger than twenty years. By current standards, they are “gas hogs”, inefficiently providing traction to the drive wheels. To get the idea, picture a 1990 Mercedes 190D diesel automobile spewing nitrogen oxide and particulates into the air as you drive behind it. By effectively “dragging” one locomotive or the other at all times, the deadweight of the nonfunctional locomotive will drastically increase Metrolink fuel consumption. In the past, some railroads have solved lightweight cab car derailments with old-fashioned innovation. They have replaced cab cars with stripped-down locomotives. With their diesel engines and traction motors removed, these so-called “coffin cars” provide sufficient weight upfront to preclude most derailments. 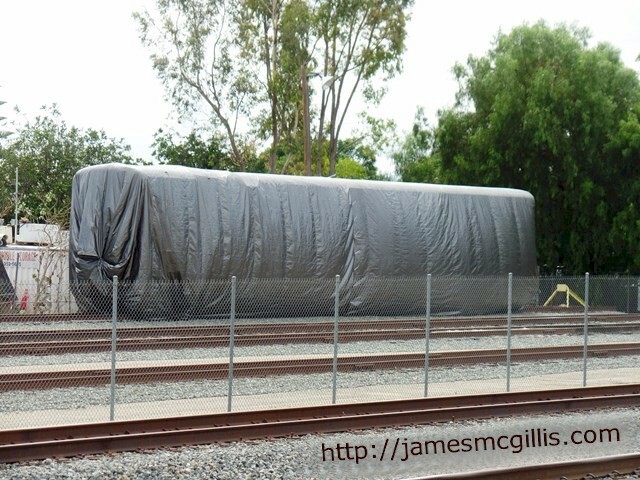 Admittedly any "coffin cars" utilized on Metrolink tracks would require addition of Positive Train Control (PTC) safety systems. 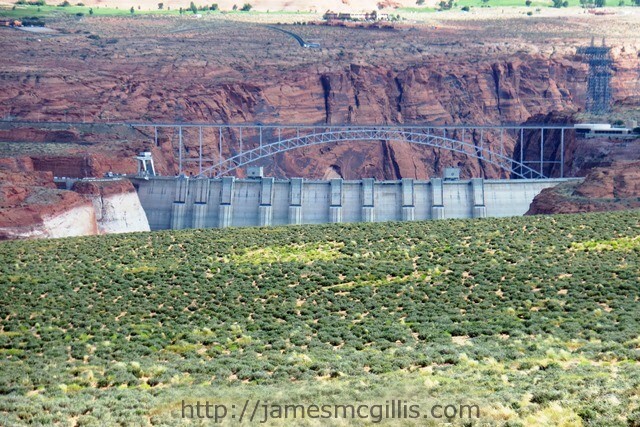 Still, that could cost a lot less than the recently approved $19 million BNSF lease. Environmental Pollution – A decade after the newest Metrolink F59PH locomotives came into service, the U.S. EPA’s 2005 Tier 2 locomotive emissions standards took effect. Given their age and power plants, all Metrolink locomotives qualify as pre Tier 2. That designation makes them among the worst polluters currently active on any U.S. passenger railroad. With the recent deception perpetrated by World Wide Volkswagen Group, the public is now aware that nitrogen oxide is a greenhouse gas (GHG) 300-times more detrimental than carbon dioxide itself. In this case, even a single Tier 0-1 diesel locomotive pollutes the air at a greater rate than hundreds, if not thousands of errant Volkswagen diesel engines. Braking Power – Mixed-consist train sets require testing to determine how they will perform under emergency braking procedures. Using readily available metering and measurement devices, Metrolink should test each consist of coaches and locomotives. During a full speed test, the locomotive engineer would initiate emergency braking. Although this would not simulate a collision, it would “stress test” both old and the new braking and coupling systems in a live environment. Until it provides results of live emergency brake testing, Metrolink’s mismatched train sets may continue to endanger both passengers and the public. Reliability – Over the years, the uptime of Metrolink locomotives has deteriorated. As of 2013, thirty of Metrolink's fifty-two locomotives were due for complete overhaul. By 2015, not one of those obsolete locomotives had received more than a "Band-Aid" overhaul. Instead, as it awaits their replacement with new Tier 4 locomotives, Metrolink is running its current fleet of locomotives until failure. The agency’s lack of scheduled maintenance reminds me of oil exploration on the North Slope of Alaska. There, when an oilfield declines, the operator discontinues periodic maintenance well before final closure. In such cynical, “work until failure” schemes, oil companies curtail periodic maintenance in order to save money. In such cases, reliability and safety take a backseat to corporate profits. Whether in Alaska oilfields or on Southern California rails, the end of periodic maintenance and overhaul signals a decline in both reliability and safety. With an oil field, the company can wait for repairs, clean up any spilled oil and then resume pumping. With Metrolink, the consequences of its current “work until failure” plan include fewer riders, less revenue and potential catastrophic failure of the Metrolink system. 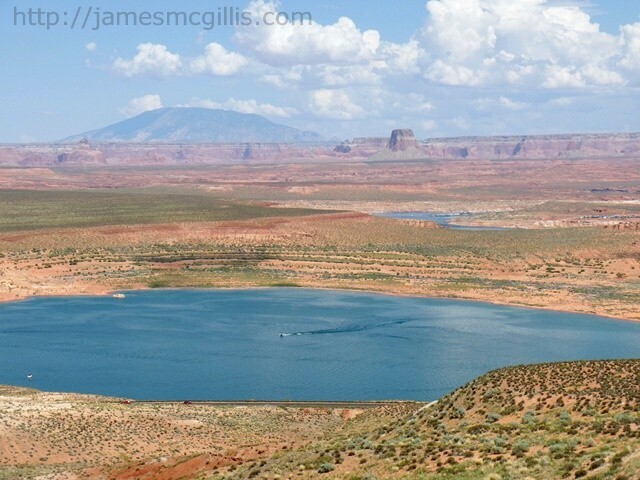 In August 2015, I ate lunch at the Wahweap Overlook to Lake Powell. 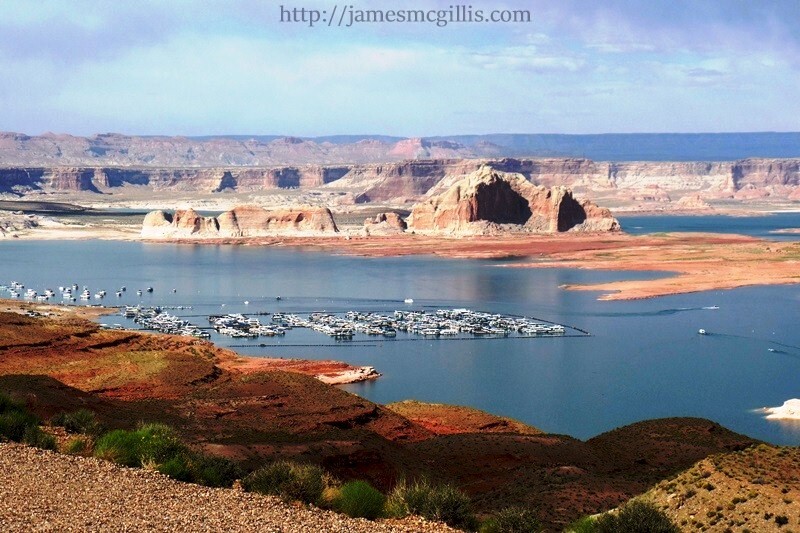 One year prior, I had visited the same place and eaten lunch while looking out over Lake Powell. 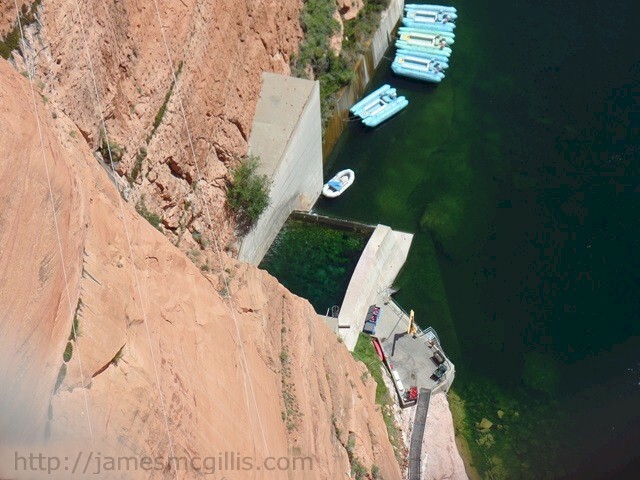 This time, I was amazed to see that the Lake level was slightly higher than the previous year. Then I remembered the southwestern monsoon of May 2015. 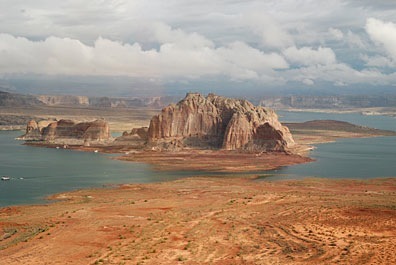 Throughout that month, unusually strong thunderstorms made their way north from the Gulf of California and into the Four Corners region. 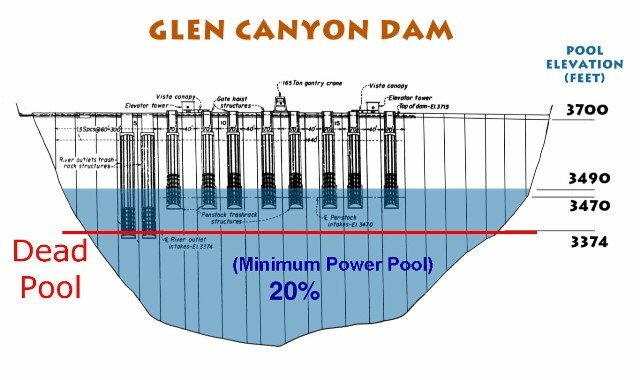 Even in these drought-stricken times, intense storms appear to turn back the clock on scarcity, quenching both land and lake. 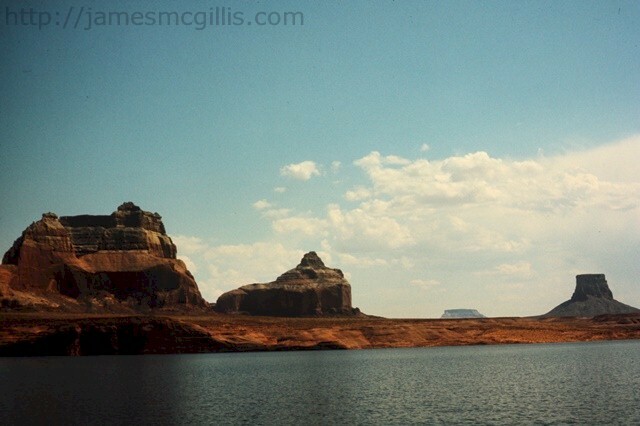 During my visit, a throng of French-speaking tourists viewed the ethereal sight of so much water in a sandstone desert. 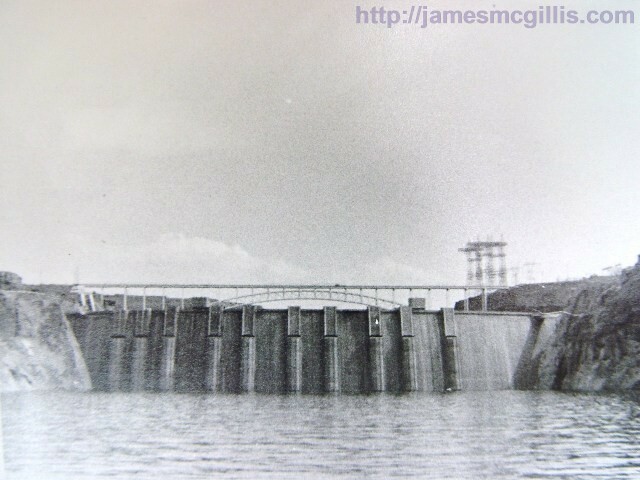 None of them seemed to notice the three tall concrete stacks standing in the distance, on the far side of the lake. Although dwarfed by the landscape, each of the three flue gas stacks stands 775 feet tall. 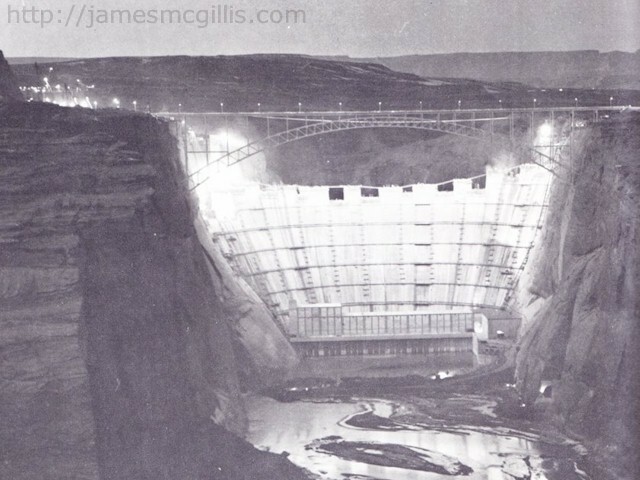 At that height, they are among the tallest structures in Arizona. 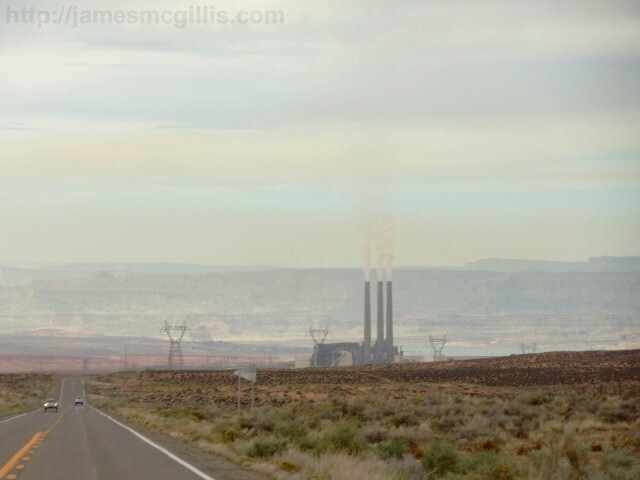 The stacks and the coal-fired power plant that they service comprise the Navajo Generating Station (NGS). Prior to the installation of new burners in 2009, NGS was the largest emitter of nitrogen oxide in the country. As a greenhouse gas, nitrogen oxide is 300 times more powerful than carbon dioxide. 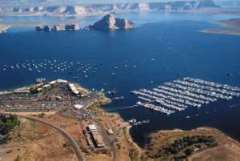 In 2011, NGS emitted 71,000 tons of sulphur dioxide, 14,000 tons of nitrogen oxide and 586 pounds of mercury into the air above Lake Powell and Page, Arizona. 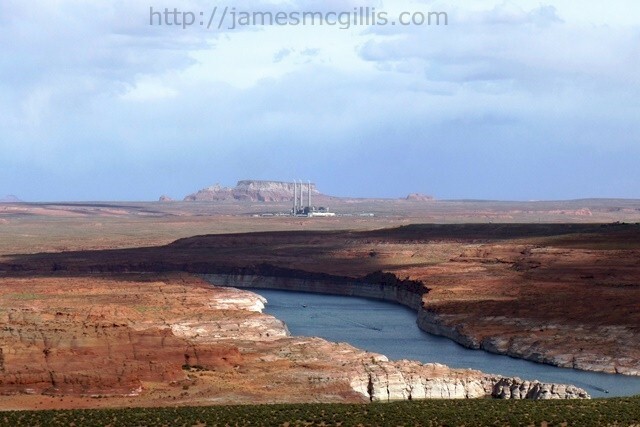 As such, NGS remains one of the largest heat and pollution sources in the Four Corners region. 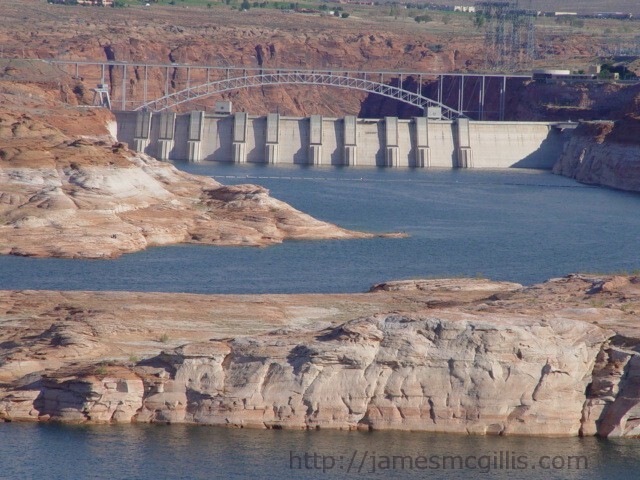 If you have visited Phoenix, Arizona in the summer, you will be familiar with the term, “heat island”. During the day, pavement and buildings absorb heat from the sun. 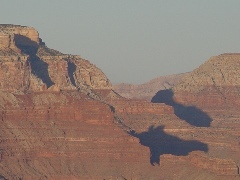 At night, the convective qualities of dry desert air are insufficient to dissipate the heat of the day. As a result, nighttime often feel as hot as daytime. Only the slow change of seasons brings relief to residents and visitors alike. 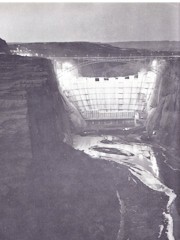 Near Lake Powell, the coal fired NGS plays a significant role as a heat generator. Fuel consumed in 2011 provided 170,529,313 Million Btu of heat input. As coal burns in the enormous furnaces at NGS, all of that heat is either absorbed at ground level or sent up the flue gas stacks and into the environment. 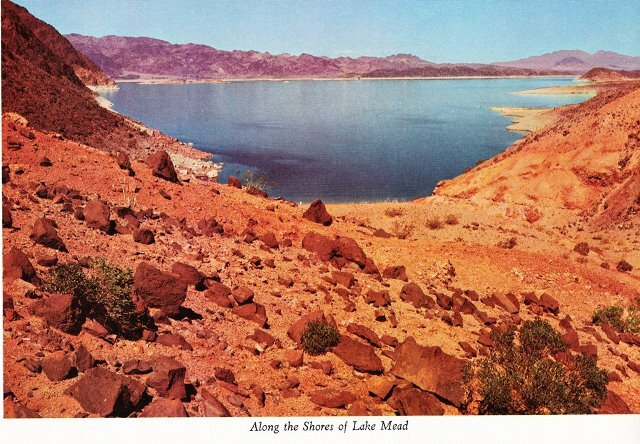 There, the heated flue gases, still laden with sulfur dioxide, nitrogen oxide, fly ash and heavy metals such as mercury meet the giant methane bubble already in place over the Four Corners region. 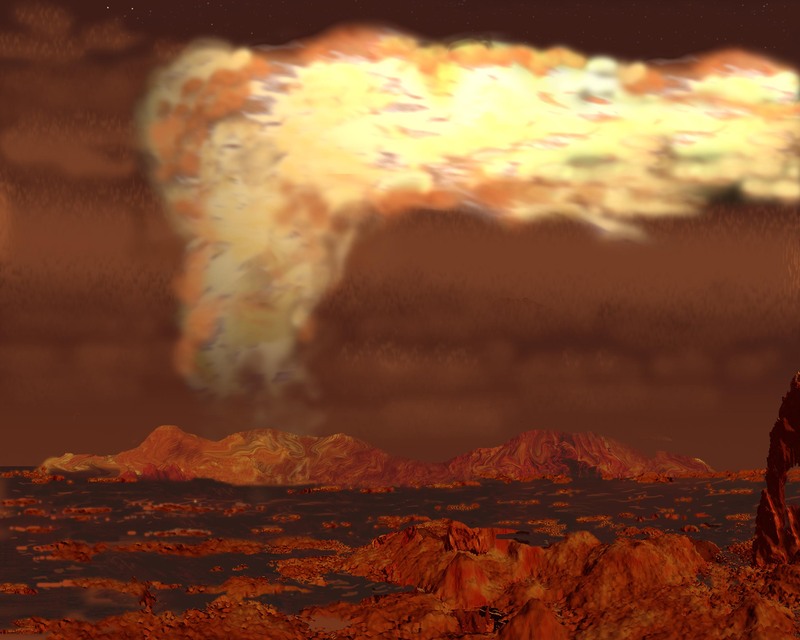 Picture a gaseous blob of airborne chemicals propelled into the high atmosphere. Effluent from the giant flue stacks of NGS and other coal-fired power plants in the region often punch through the atmospheric inversion layer. 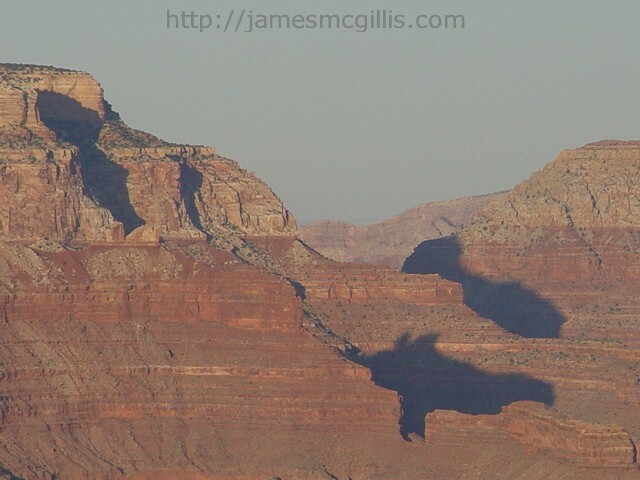 Once this heated stream of gas disperses, it creates a persistent regional haze over much of the Southwest. What are the final consequences of having a highly volatile chemical heat island hovering over the Four Corners region? First, the heat island deflects rainfall away from the area, further exacerbating (perhaps creating) the persistent regional drought. With their rise on a cloud of methane, these greenhouse gases head directly toward the stratosphere, and beyond. Perhaps we need a new “Blue Marble” photo from space, showing the degradation of our atmosphere over the past fifty years. 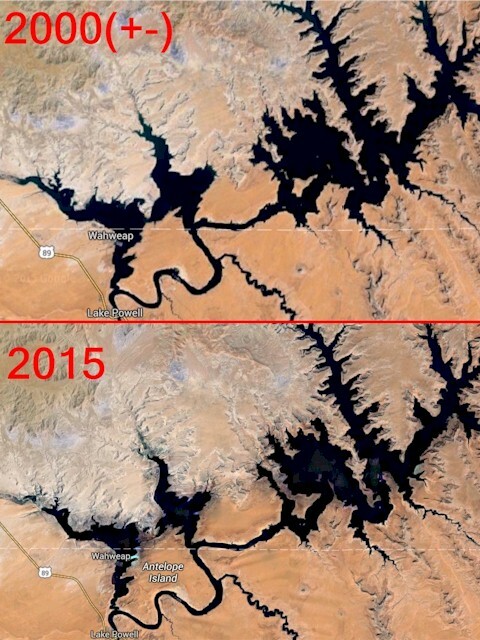 For geodetic proof of the Four Corners regional drought, look no further than Google Maps. 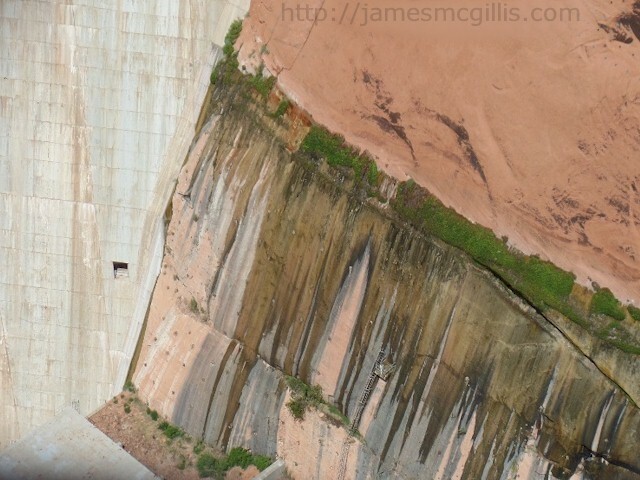 Most people are familiar with zooming in on a Google map, thus increasing the resolution of small objects. While zooming in on the Wahweap Overlook, I discovered that the midlevel map of the area was a USGS Landsat Map of undetermined age. By zooming in one additional level, I discovered a Google Data map of more current vintage. 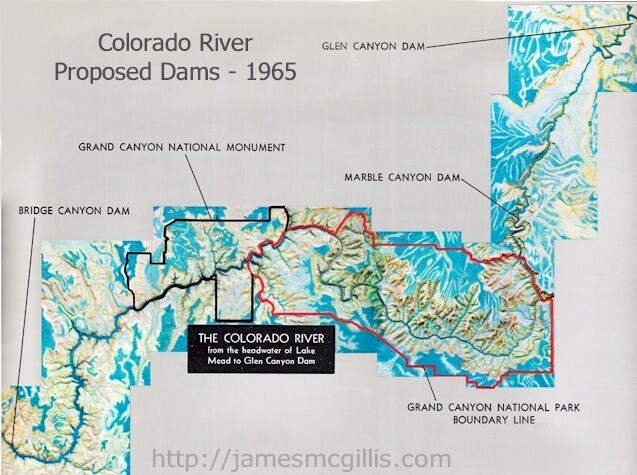 Click on the thumbnail image of Lake Powell on this page to see a top and bottom comparisons of the two maps. 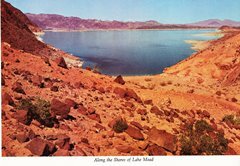 In the 2015 Google Data map, significant portions of the former lake are now dry land. If not for a new channel cut across it, the former Antelope Island would require the more apt name of “Antelope Peninsula”. 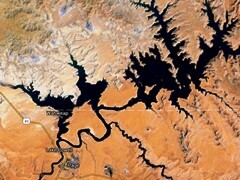 Also in the 2015 view, new shoals are visible in each of the first four primary basins, hinting that more dry land will surface in the future. At the upper end of the lake, sediment clogs the river, exacerbating evaporation and producing what scientists call methane volcanoes in the mud. This is Part 2 of a three-part article. 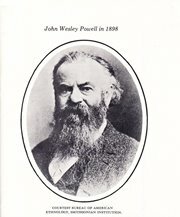 To return to Part 1, please click HERE. To read Part 3, please click HERE.